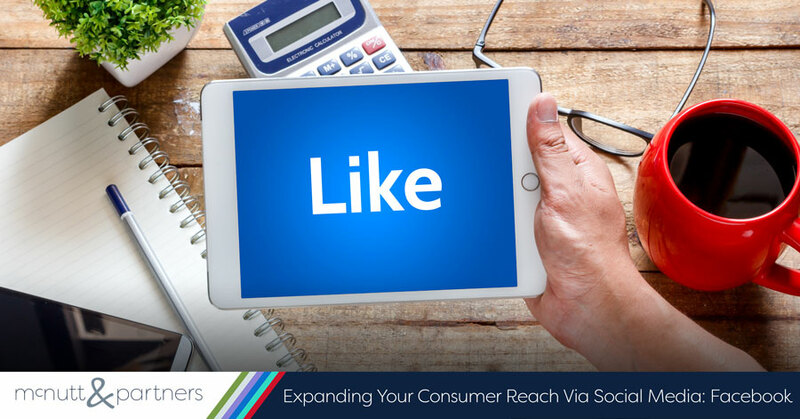 It’s no surprise that Facebook is the number one social media platform that businesses effectively use to expand their consumer reach. This coincides with the fact that more than 1.8 billion people use Facebook—the largest social media network in the world—on a regular basis to connect with one another and consume information. That being said, ignoring Facebook isn’t exactly a wise decision in terms of marketing your business. Not only is it an extensive pool of potential customers to draw from, but it is an easy-to-use, organic way to grow your business at no to low cost. In February 2017, more than 65 million Facebook business pages were in existence. You may already be familiar with Facebook from a personal standpoint, but the business side of the social media platform offers a host of different features that can work to a brand’s advantage in marketing its products or services. Here, we’ll go over a few strategies that you can use to successfully market your business on Facebook—from methods that cost you next to nothing, to ways you can smartly invest your marketing dollars in the world’s largest social media platform. Choose a memorable and relevant username. Your username is the web address of your page (facebook.com/name). Facebook will give you a random URL of numbers by default, but once you have at least 25 “likes,” you can change your username to something that search engines will be more inclined to pick up. Use keywords in your “About” section. This text-based section of your page gives you the opportunity to describe what you do while implementing keywords that Google will recognize. These keywords should relate to the search terms that customers might naturally use. Select an appropriate category for your business. You will be able to select from a drop-down menu of categories. Employ quality photography for your profile and cover photos. Visitors to your page will likely see your photos before they look at anything else. Your images should be professional quality and should be consistent with your brand. Using targeted ads. Facebook offers a variety of paid advertising options that correlate to various objectives, such as paying to get more likes, sending users to your website, reaching people near your business and others. Once you choose your objective, you can select either an image, video, text or link to serve as your ad, and you choose its location—in the desktop newsfeed, mobile newsfeed or desktop right column. These ads can be shown to anyone on Facebook—not just people already connected to your page. You will pay for targeted ads on a pay-per-click, or pay-per-impression basis. Facebook also has one of the best targeted advertising programs online because the network gathers so much information about its users. Use this to your advantage to reach the users who might be the most interested in your product or service. Boosting a post. Distinct from paid ads, boosted or promoted posts show your content to people who are already following your page—but more of them than a post would reach organically. To boost a new or existing Facebook post on your business’ page, you simply click “boost” when creating the post or next to the post after it has been created. This will increase the post’s visibility in users’ newsfeeds, and it will give you the option to boost to people who like your page and their friends, or people you choose through targeting. It will also prompt you to set a daily budget. Promoting a post. A promoted post meets the same objective as a boosted post; however, you access promoted posts through the Ad Manager, and you will have more options for targeting. With a promoted post, you can choose cost per click, spend a certain amount per day, or switch between the two. With both boosted and promoted posts, you want to be sure to choose the best of the best of your content to push out there. Sponsored stories. Another tool you can use to grow your Facebook reach is sponsored stories. With a sponsored story, you pay to highlight an action that users have already taken on the social media platform. That action will then appear in either the newsfeed or sidebar of the user’s friends’ accounts. Examples of sponsored stories include indicating when a friend has liked a page, or liked an individual post. The idea is that the friend will then be prompted to do the same. Posting likeable content. At the core of your Facebook success is your ability to create and share appealing content with your followers. If your posts are not relevant, informative or entertaining to Facebook users, then your interaction will decline—and users will be less inclined to share your posts organically. Engaging with your audience. One of the biggest mistakes that businesses make in regard to their Facebook pages is setting them up, and then passively letting them exist without paying much attention to them. You should make it a point to like and respond to comments, ask questions and share content to show users that you are an active participant on Facebook. Using the above marketing strategies can help you start seeing results on your business’ Facebook page. You want your brand to appear where people are already spending their time, so you should consider Facebook as a critical component in your marketing toolbox. Need help creating or optimizing your Facebook page, or using the platform’s advertising tools to grow your consumer reach? Call McNutt & Partners today at 334-521-1010, or visit our contact page.